Leave a Comment on Mmmm Oats?? ​Ok, so awhile ago we talked about sugar and all the great types and uses etc… It seems like baking is a great modality for multi-use ingredients. Keeping that in mind I though I would talk a little about oats. 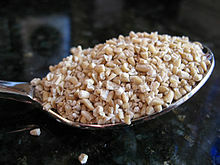 Used for food, medicine, and even cosmetics this natural grain is a nutritional superstar, and I for one love em’! When you go to the store there are several types of oats available and to someone who may not cook often it may be a little confusing as to which one to choose. So here is a little run down on the types of oats out there, I hope you find it useful. 1. 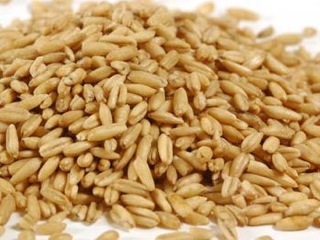 Whole Oats: Whole oats have a hard outer hull that must be removed before it’s ready for human consumption. Removing this hard outer hull is not trivial, so if you want whole oats to eat, purchase them already hulled. 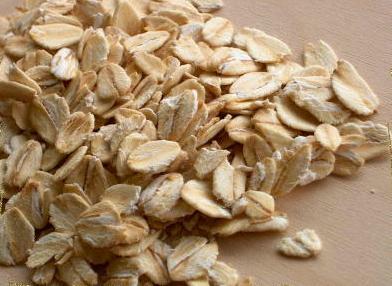 The oat hulls are a source of the chemical solvent furfural. Hulled oats are known as ‘groats’. 2. Oat Groats: Oat groats are the whole oat grain, with only the hard unpalatable outer hull removed, but with the kernel’s outer bran layer left in tact. They are long and thin with a smooth shiny surface and look like brown rice. They can be eaten at this stage, but are typically processed into other forms. I once saw this used as an ingredient on an episode of the Food Networks program Chopped, the contestants looked miserable trying to figure out how to incorporate them. 3. Steel cut oats: Steel-cut oats, also known as pinhead oats and sometimes referred to as coarse or rough oatmeal, are made by passing groats through steel cutters which chop each one into three or four pieces. Since they still contain the whole grain including the oat bran, steel cut oats are very nutritious. I personally love steel cut oats for breakfast, so yummy! 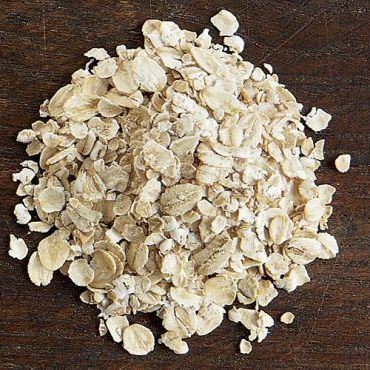 4.Rolled Oats : Rolled oats are made by steaming groats and flattening them with a roller. These come in two distinct varieties. The first variety is sometimes referred to as old fashioned, or jumbo. These are made by first steaming the whole groat for a few minutes, thus partially cooking it, then passing it between rollers to flatten it out. The second variety is sometimes referred to as quick-cooking rolled oats. These are made by putting steel-cut oats through the same process. 6. 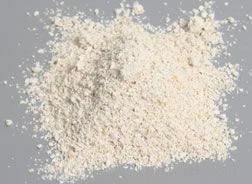 Oat flour: Oats can be ground in to flour which usually comes in three grades – coarse (i.e. steel-cut oats), medium and fine. Medium oatmeal can be used in cakes and crumble toppings to give a nutty flavor, or added to soups as a thickener/creamer. Fine oatmeal (flour) adds a great flavor to bread and improves its shelf life due to the natural preservatives found in oats. Since oats lack gluten, they’re typically mixed with a gluten-containing flour such as wheat flour. So now that we have nailed down the different types, here’s a little oat trivia. Oats are a cereal grain used primarily as food for livestock, with only about 5% of the world crop being consumed by humans. The plants make excellent straw, and the hulls are a source of the chemical furfural, used as an industrial solvent. Quaker Oats, in Cedar Rapids,Iowa, is the largest cereal company in the world. 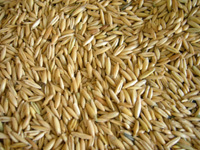 Some believed oats to be a diseased form of wheat. Either way I can’t think of a lovelier grain when it comes to making things like cookies, muffins, and breads. I love the lightly sweet flavor, and the variety textures. It one fabulous grain, that I will continue to use on a regular basis in my kitchen! 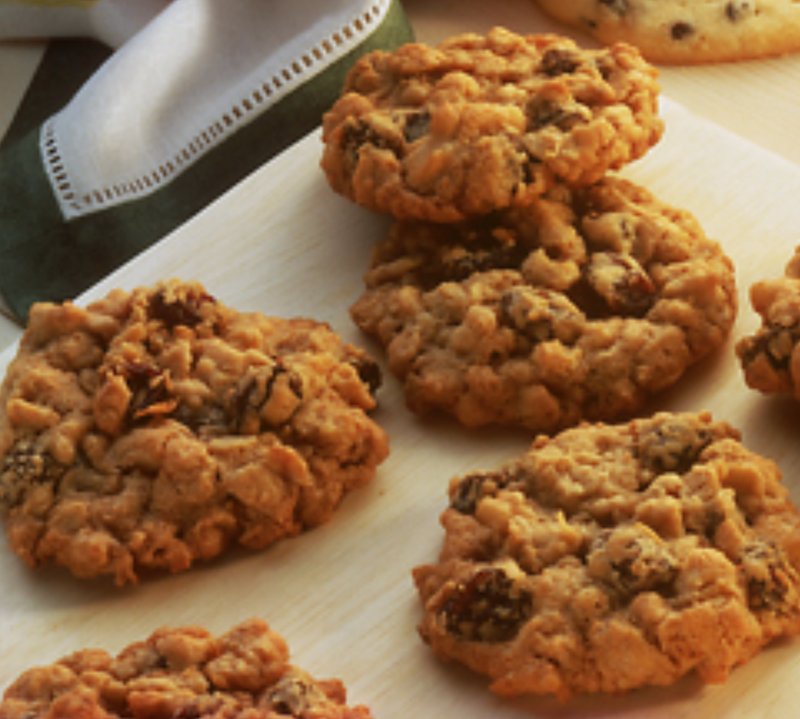 Just to kick off you love of oats I have an awesome recipe for flavorful, soft, chewy, wonderful, oatmeal raisin cookies. Enjoy!! Preheat oven to 350 degrees. Using an all purpose cooking spray prep 2-3 cookie sheets and set aside. Beat together the butter, brown sugar, sugar, milk, egg, and vanilla until light and fluffy. Add dry ingredients ( flour, cinnamon, baking soda, and salt.) and blend well. Fold in the oats, raisins, and nuts. Drop onto cookie sheets with tablespoon, and bake 12-15 minutes. Remove and cool on wire racks. Enjoy!